Like so many boys growing up in North Carolina, Joseph Cooper set his sights on playing basketball for the Tar Heels. Yes, the Greensboro native knew Carolina was one of the best universities in the country with a top-ranked business school, his fallback career at the time, but his heart was less on academics than on enrolling at the school that graduated the likes of George Lynch ’93, Eric Montross ’94 and Michael Jordan ’86. A good player growing up, Joseph made UNC’s junior varsity team as a freshman, but as he saw his chances of making varsity fade, he felt lost and began to question who he was. Out of that identity crisis came a career. Joseph went on to earn a master’s degree in exercise and sports science from UNC in 2009 and a doctorate from the University of Georgia, conducting research into the holistic development of black male athletes. 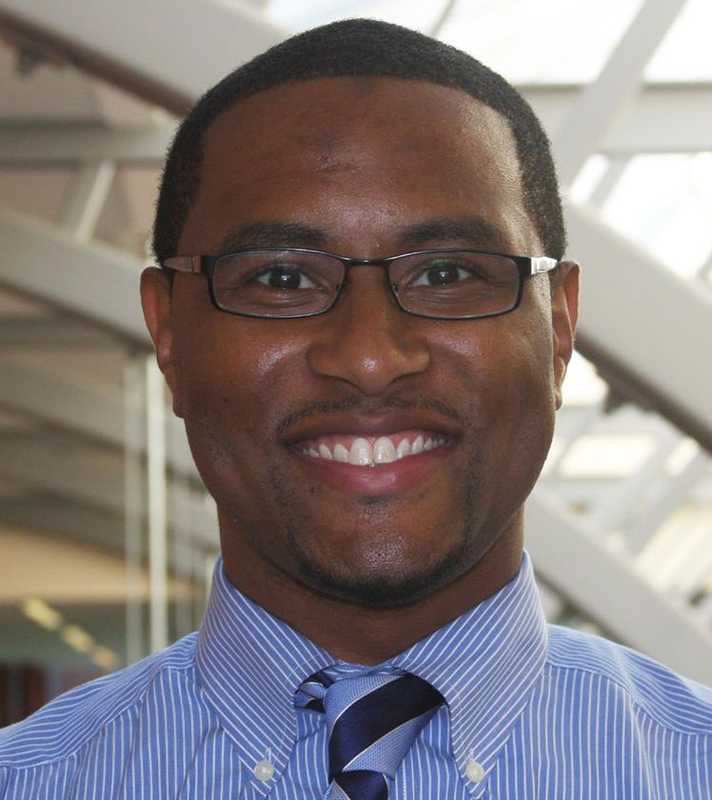 Now an assistant professor in the University of Connecticut’s department of educational leadership and sport management, he has founded and runs Collective Uplift, an organization to maximize the potential of young men of color beyond athletics. “I wanted to prevent that identity crisis that happened to me from happening to others,” he said. Black men constitute the majority of the athletes on collegiate football and basketball teams, but their graduation rate is among the lowest of any demographic. Joseph had difficulty transitioning out of athletics and realized that even the varsity players risked an identity crisis when they stopped playing, perhaps even more intense because they had been used to the hoopla of playing on national television. Freed from the time commitments of sports as a senior, Joseph began investing his time and energy into local, global and political issues. He and his best friend co-founded GOLD-n-LOVE (Gentlemen of Leadership and Distinction and Ladies of Virtue and Excellence), a service organization that responds to the needs of the local community. Members mentored high school students; held workshops on health, law, politics, business and education; and raised money for such things as buying toiletries for women at the homeless shelter. GOLD-n-LOVE continues to thrive on campus today. While considering research topics as a doctoral candidate at Georgia, Joseph heeded the words of a professor who told him: Research is me-search. “There’s something inside you in relation to the world that you’re trying to understand,” Joseph said. He delved into helping athletes embrace the notion that they always have been and always would be more than athletes. Joseph had the advantage of a mother who knew that the chances of becoming a professional athlete were very small. She set an example to Joseph and his brother by studying for her PhD while raising her boys. She also exposed her sons to peers and adults who encouraged spiritual, intellectual and cultural exploration. She helped him understand there were bigger goals than playing sports. That conditioning helped him keep sports in proper perspective. And he experienced the importance of a strong support system in cultivating a holistic identity. At UConn, Joseph developed a reputation as a strong advocate for universities recognizing the academic abilities of athletes and creating learning environments for them to obtain a meaningful education. Joseph’s articles have been published in well-regarded journals, and one of his articles was a finalist for Article of the Year from the Journal of Issues in Intercollegiate Athletics. He won teaching and research awards as a graduate student and is among UConn’s highest rated instructors. In 2015, UConn honored him with a Provost’s Award. He has served on UConn’s Diversity Task Force and the search committee for a new chief diversity officer. As part of his engagement with UConn’s African American Cultural Center, he took the lead on the Martin Luther King Jr. Day celebration this year. Through Collective Uplift, Joseph has designed a program that enhances consciousness, empowerment and positive life outcomes for blacks both within and beyond athletics. He guides them to understand all the many ways they can make an impact on society, to effect change on the way people are valued and on systems that perpetuate inequality. He would like to see universities require some co-curricular activity that helps with holistic development unrelated to an athlete’s sport. UNC laid the groundwork for his success by providing mentors and offering a wide range of courses that inspired him to engage as a critical thinker. Sports promotes the idea that there can be only one winner. Joseph aims to show athletes that life proves otherwise. In the real world, many people win.